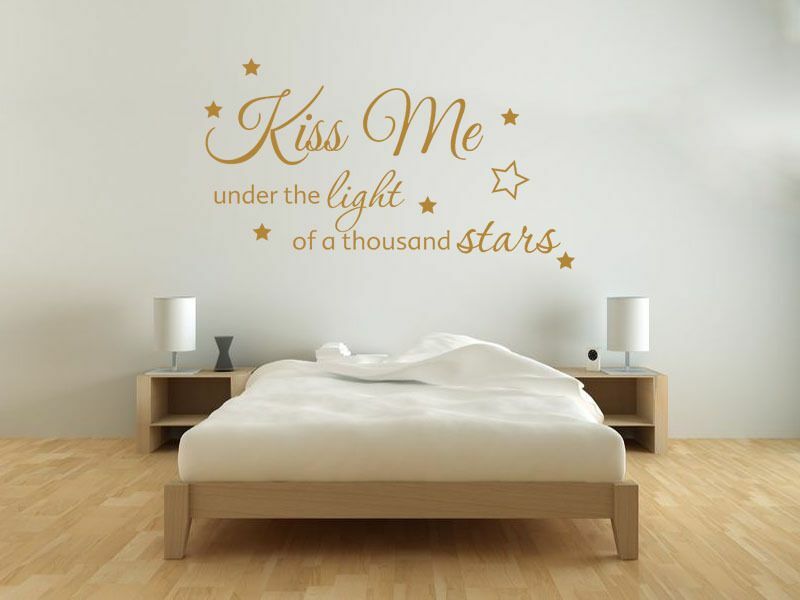 "Kiss Me Under The Light Of A Thousand Stars"
" Kiss Me Under The Light Of A Thousand Stars " Available in a 29 different colours and 3 sizes to make a beautiful addition to any room. Available in 29 different colours and 3 sizes to make the perfect combination for any space. 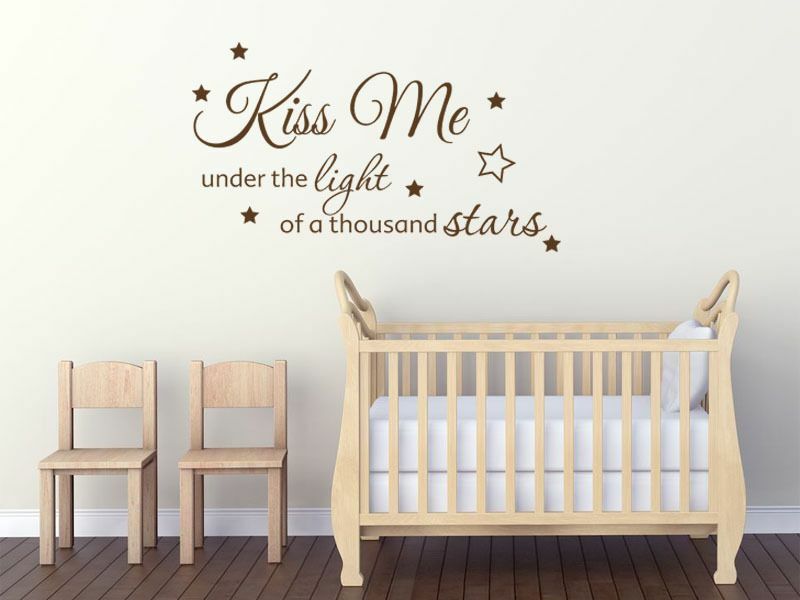 Bring any room to life in minutes with this beautiful quote from The World Of Wall Art. Simple to install, completely removable without leaving any damage or glue residue on the wall, easy to clean and with a matte finish that makes it look as if it's been painted on! different types of wall art sticker available that vary hugely in quality, easy of use and price. quality product at a competitive price . However we can promise that your wall art will be made on-site from the very best materials and all the individual stickers will be loaded onto a single piece of application tape so it can be applied simply, quickly and looking as it is shown in the pictures. included for all customers within the UK!! Please use the drop down menus to select the size and colour that you would like and note that the pictures shown are for illustration purpose only and the size is written in the drop-down menu above. Thank you for looking and if you have any questions or queries please get in touch!! The World Of Wall Art is a family run business based in Bournemouth with a background in the signage industry for the past 7 years. We are creating stunning artwork 6 days a week to ensure a fast turnaround on all orders. We try to cater for all people and age groups with our ready to order graphics but if are unable to see what you want, we are able to create custom designs by request for a truly bespoke wall art experience.All vinyl used in our art work is of the highest standard and specially designed for wall art use. This means that it can be placed on common household surfaces like plaster board and painted walls without causing any damage to the wall when applying or removing the graphic. All vinyl used is produced with a matte finish rather the a gloss finish, this means that you get reduced glare from lights and the graphic looks more natural on the wall, like it has been painted on! 1. Postage is free within the UK for first class standard post via the Royal Mail. 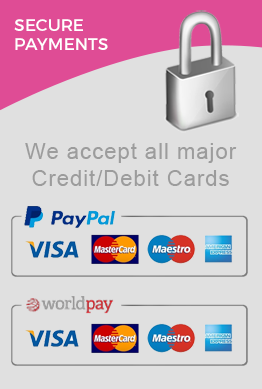 This means all purchases made online are delivered within 1-3 working days. Usually, delivery will be as early as the next day but please allow up to 3 working days. 2. We dispatch Monday to Friday, not including Saturday and Sunday, therefore please give more time for orders to arrive when purchased on these days. 3. We only ship to the shipping address that you provided during the the checkout process. We are not responsible for any wrong or invalid shipping address. 1. We also ship internationally. The delivery time will take between 5-15 working days. 3. We dispatch Monday to Friday, not including Saturday and Sunday, therefore please give more time for orders to arrive when purchased on these days. 4. We only ship to the shipping address that you provided during the the checkout process. We are not responsible for any wrong or invalid shipping address. Q. What is wall art vinyl? A. Digitally cut self adhesive stickers. We cut all of our designs with a digital plotter for 100%accuracy and precision, the background is then removed leaving just the words/picture to be applied to the surface. Q. Why choose The World Of Wall Art? A. Wall art is becoming increasing popular across the UK and the globe as people start to realise this easy, cost effective way of adding something special to their home. 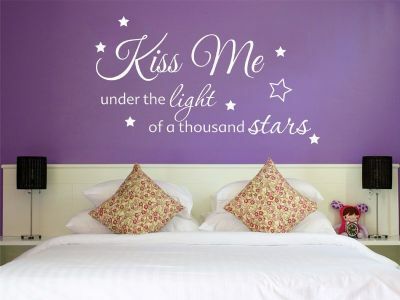 There are many different types of wall art sticker available that vary hugely in quality, easy of use and price. At The World Of Wall Art we place ourselves at the very top of the spectrum for the quality of our product and the level of service given to our customers. We offer an extremely high quality product at a competitive price but we are not the cheapest on eBay, with many companies on eBay selling wall art stickers made from substandard materials that get cut down into small sections and placed into an envelope to save on postage costs it is hard to compete with their prices. However we can promise that your wall art will be made on-site from the the very best materials and all the individual stickers will be loaded onto a single piece of application tape so it can be applied simply, quickly and looking as it is shown in the pictures,have always prided ourselves on high quality and customer satisfaction. 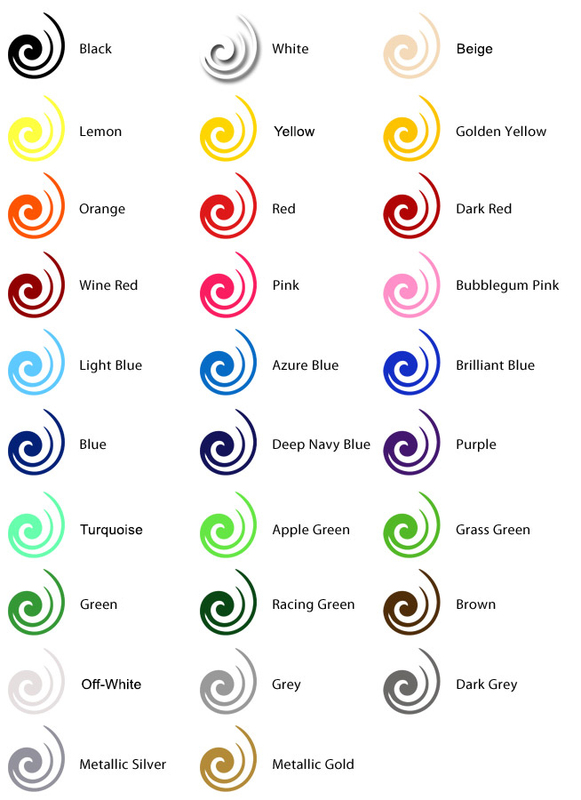 In order to achieve this we only use vinyl that is designed for the purposeof wall art. Unfortunately there are many people selling wall art made from substandard vinyl and vinyl designed to be used on vehicles and plastic boards which looks ugly on the wall can be very difficult to remove. Q. Can the wall art be removed and repositioned? A. No - For single use only. A. Wall art is simple to install and full instructions are provided with diagrams. For very large wall art we advise two people to install. Q. Where can wall art be applied? A. You can stick the wall art to any smooth, flat, non porous surface - interior painted walls, glass,painted wood, tiles, fridges, etc. The default vinyl we use is best suited for internal application,if you require an external application please contact us. © Copyright The World Of Wall Art All rights reserved.